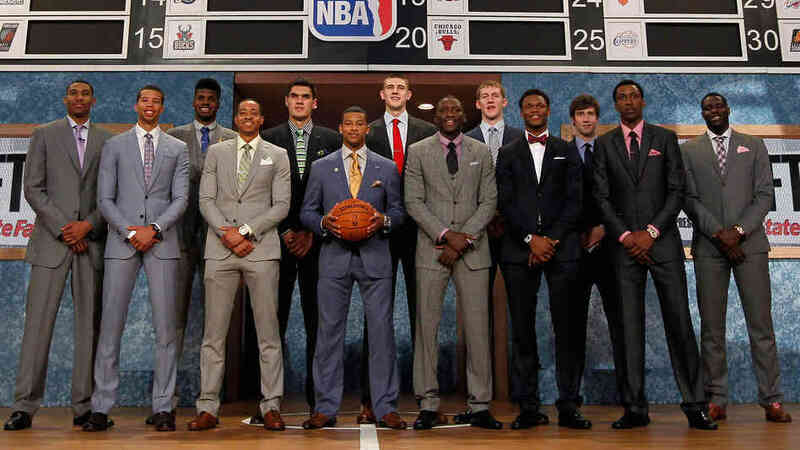 The 7-1 Maryland star's dotted red tie and pocket square was one of the best pattern mixes of the night. However, the greatest part of his ensemble is unseen here - custom Ukrainian flag lining for his suit jacket. 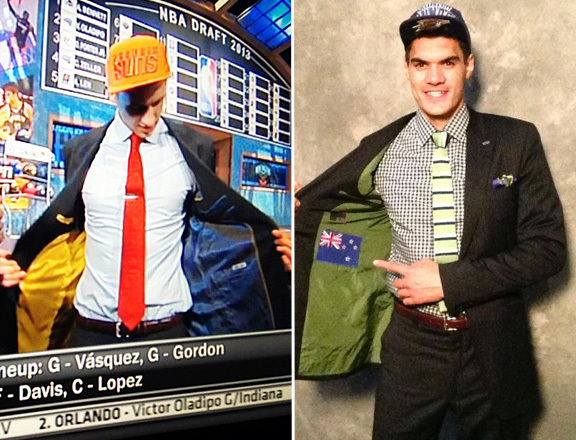 International NBA draftees Alex Len and Steven Adams gave sartorial shout outs to their homes in the Ukraine and New Zealand respectively by emblazoning their jacket linings with nods to their countries' flags. If you get to know me, you'll discover quickly my love for the color navy. In fact, open up both my closets, and over 80% of the clothing that live in there are navy, or close to it. 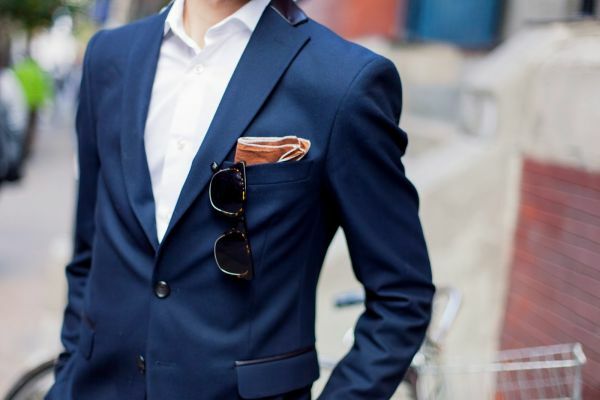 That's why when Born to Tailor asked me to design a suit, I immediately said "anything navy." The blazer I'm strutting in the photos above is only 1/2 of the suit put together by the talented fellas at Born To Tailor, you can find the complete suit right here. 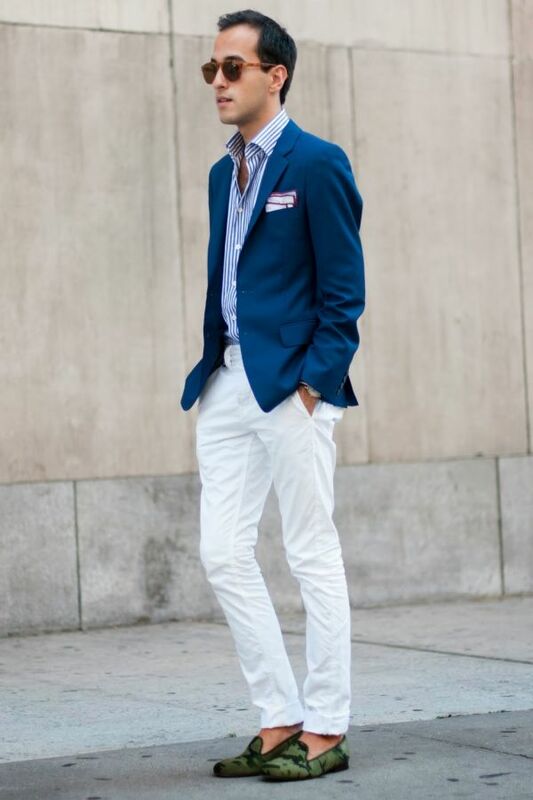 I paired my blazer with a sleek pair of white chino's by !ITEM, yeah that's right I'm wearing white after Labor Day, SUE ME. I'm also wearing my favorite Warby Parker shades that compliment my odd shaped face. 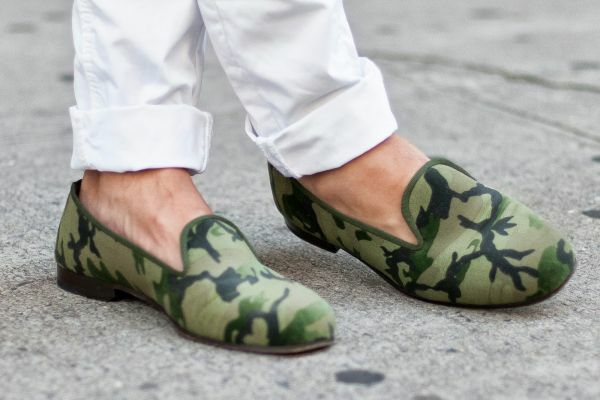 Moving on to today's footwear, these superb velvet camo slippers by Stubbs & Wootton, which are the perfect amount of camo. In other news I started going to the gym--did you just giggle?! Yeah, I thought it was quite funny too, BUT just wait until Summer 2014 and I'll show you how Mike The Situation I get. Well, here's what I wore to NYFW Day 5. The fellas at Born to Tailor were kind enough to put together this super blue, super awesome suit in just 24 hours. 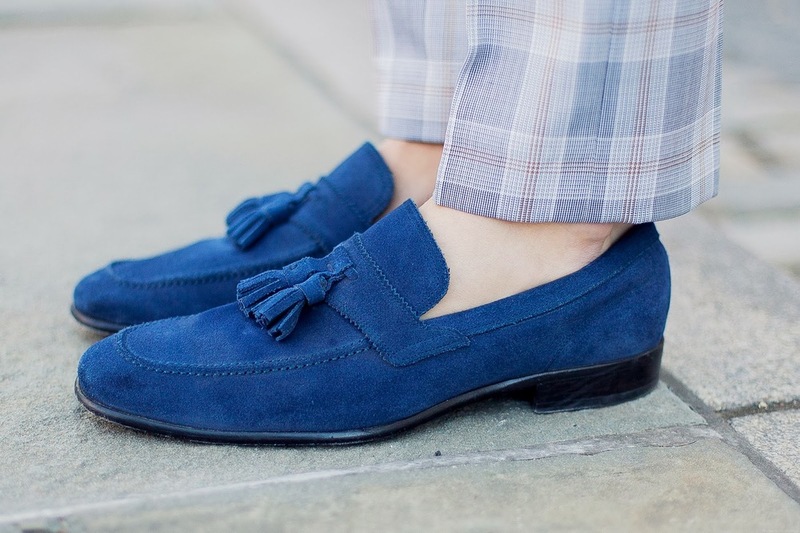 I remember walking into the Born To Tailor office without the slightest idea of what I want to design, all I knew was I want a suit that fits and that will compliment these vibrant Ferragmo sneakers. Varun, over at BTT, showed me dozens of fabric books and when I came across this blue, labeled "F YOU, BLUE," I knew I met my match. 24 hours later, I was rocking this perfectly fitted suit to Lincoln Center, HUGE Thanks to Born To Tailor! I paired my bespoke suit with a pair of Ferragamo slip-on sneakers and envelope, which was the perfect home for my Bally wallet, Mophie charger, Altoids, and Soft Lips chapstick. Lastly, I threw on my new pair of Warby Parker shades from their latest collection, the Ellison in Whiskey Tortoise, AKA the NEW club masters. 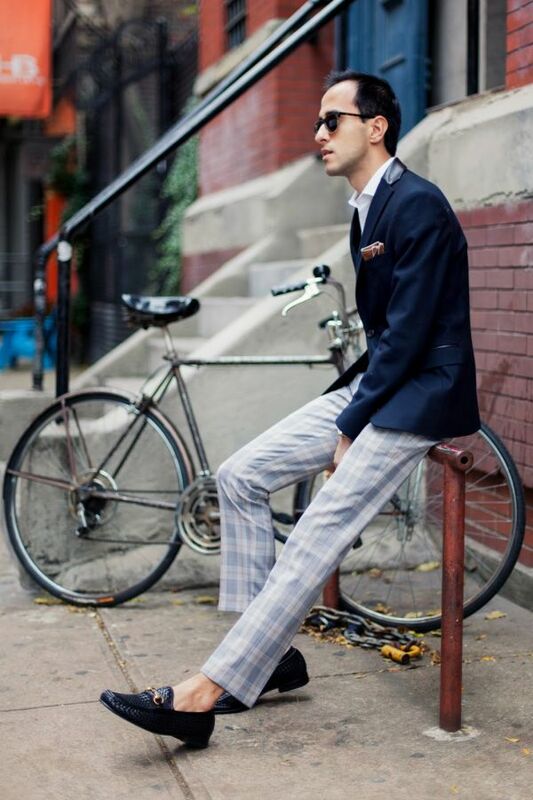 By mixing a dark shade of brown with a well-tailored pair of vibrant pants he makes his ensemble pop. And speaking of a perfectly tailored pair of pants, you can check out Born to Tailor Pants to grab a custom pair for yourself. As you might already know, I'm a suit and tie kind of guy, and would very much enjoy wearing a double breasted suit 5 days a week. Today, I'm wearing pieces from both of my Born to Tailor suits. 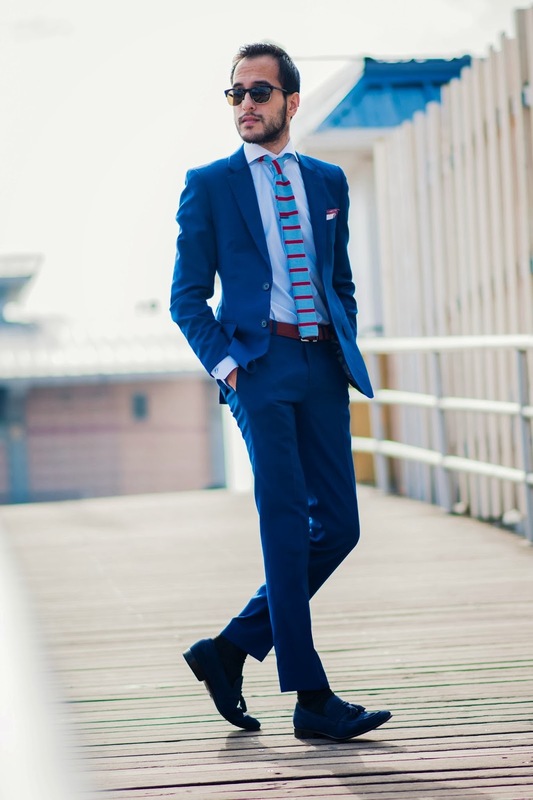 You know, finding a suit that fits and feels amazing is quite a task, but finding a suit that is versatile and can be mixed and matched -now that's a mission. Under my blazer I am wearing a fair isle sweater I got from Zara, because, tis the season, right? 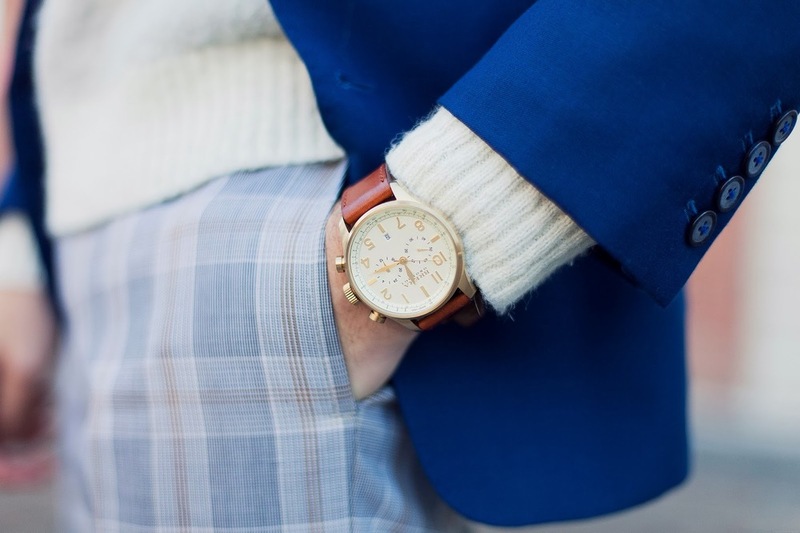 Plus a few accessories to top off the look: Warby Parker shades, tassel loafers by Ferragamo and a classico watch by Brera. I wore my coat over a plaid bespoken suit by Born To Tailor. 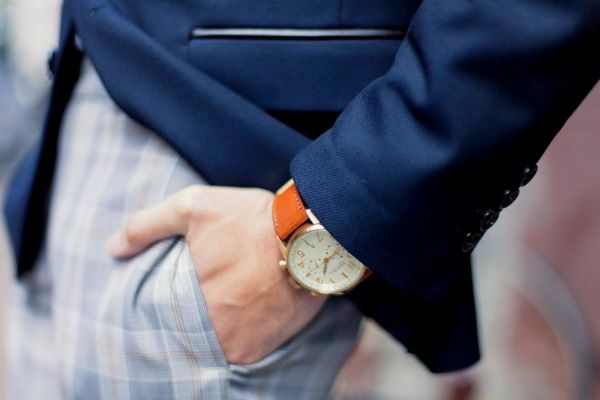 Because you know what they say- behind every man in an amazing suit, there's an even more amazing tailor. It's insane of how much power, presence and sophistication a suit can give one person. 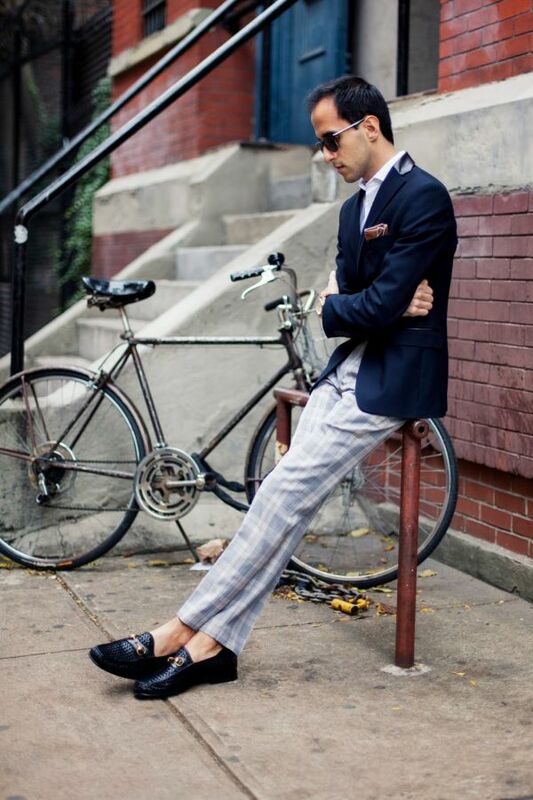 And when tailored and styled correctly- there's nothing in the world that can stop you. 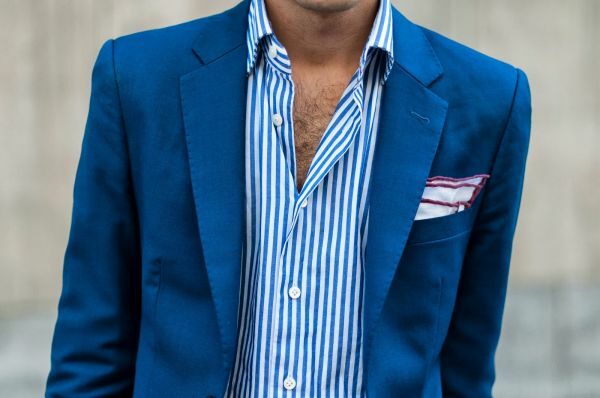 Speaking of power and presence, no suit carries both better than a well tailored pinstripe suit. 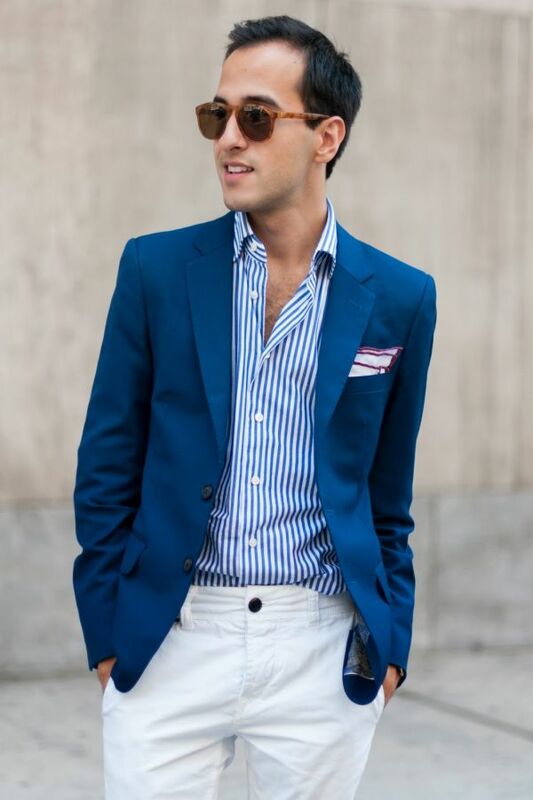 That is why when I met with Varun from Born To Tailor and I knew exactly what my next suit was going to be. 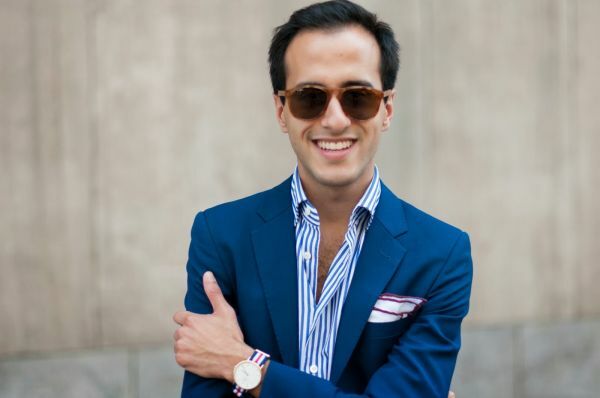 BTW, if you're in New York be sure to check him out (www.borntotailor.com) and say hello for me! The subtle chalky white navy pinstripe suit is possibly my favorite suit I own to date. Although I'm a very "fashion" person, I like to be taken seriously, and therefore for this look I took a step back from my plaids and bold colors to a more business-esq look.